The Hotel contains two restaurants which can hold up to 120 diners. Guests can enjoy panoramic views of the Golden Rock Pagoda as well as the surrounding mountain range right from their tables. We also have a private dining room which can hold up to 50 people and can be booked for occasion’s meetings or group dining (subject to availability). Our chef’s provide some of the best local cuisine along with a variety of Asian and Fusion dishes which are highly reviewed and cherished by our guests. 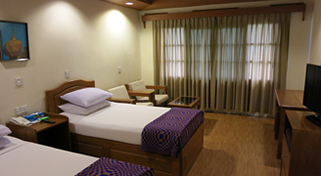 Visit our bar to relax and unwind after a tiring hike up the mountain and a visit to the Golden Rock. We offer a variety of international wines as well as fruit juices. Our souvenir shop, which can be found at the lobby, contains various local products that you may wish to take back home as gifts for your loved ones or simply to remember us by. 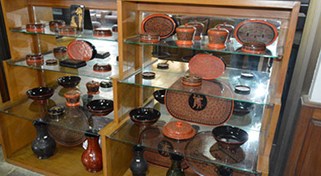 These products range from high-end local jewelry, lacquer-ware, traditional clothes and simple memorabilia. Internet Wifi Facilities are available at the the lobby area. Please inquire at the Front Desk for more details.